The homeowner was ready for a change since her bathroom hadn’t been renovated since it was built 25 years ago. 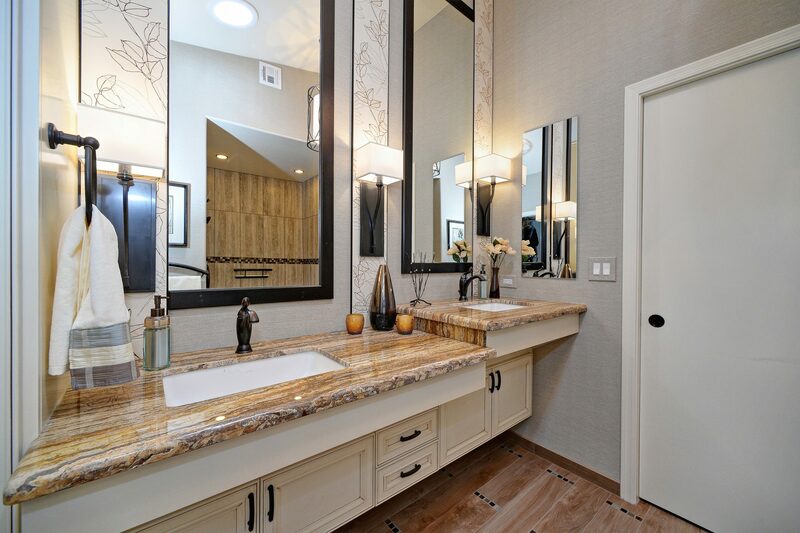 She wanted a beautiful bathroom. 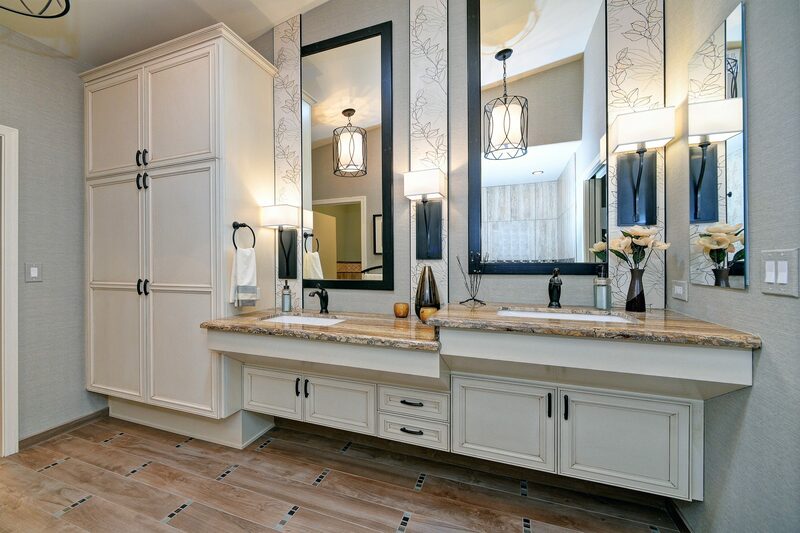 To ensure she would be able to remain in her home as long as possible, and to increase its market value, we created and ADA-compliant floor plan and custom-designed the vanities to accommodate mobility devices. Beautiful materials, finishes and fixtures that also help prevent falls and make the space safer were incorporated in the design. 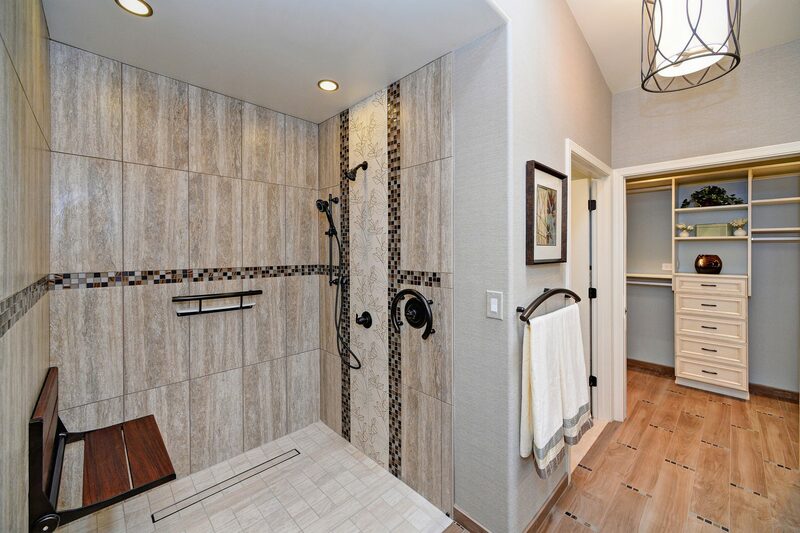 The client says she is excited to use her new bathroom every day.